The two Porsche 919 Hybrids will start first and second in the opening round of the 2015 FIA World Endurance Championship (WEC) in Silverstone. For the six-hour race on the British Grand Prix circuit qualifying was run for the first time according to the 2015 regulations. As in the past, two drivers shared qualifying duties, but now only their respective best lap time counts. The average of these two laps decides the grid position. Brendon Hartley and Mark Webber were at the wheel of the number 17 car. 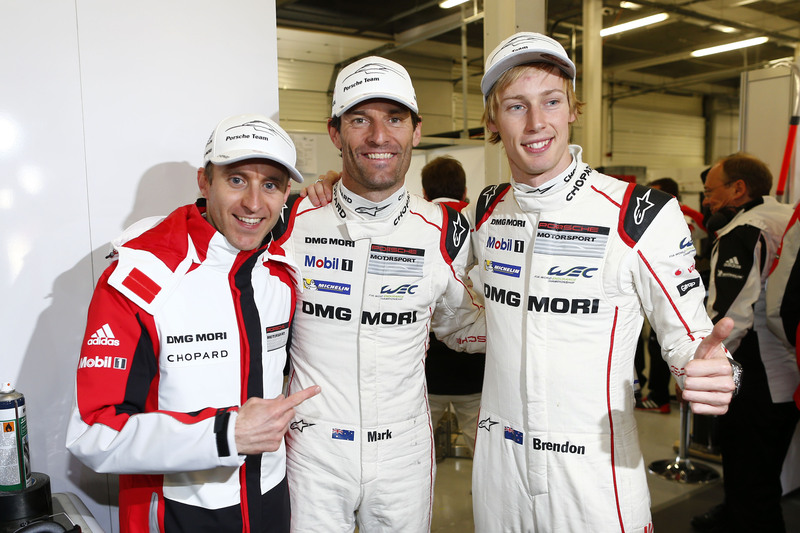 Their average lap time of 1:39.721 minutes secured them the first pole position for the new 919. Hot on their heals were Romain Dumas and Neel Jani in the number 18 sister car, with an average lap time of 1:40.340 minutes. While it was cold but sunny, it was dry again for qualifying after it had been raining in the morning for free practice three. In this session Timo Bernhard (Nr. 17) and Marc Lieb (Nr. 18) where also behind the wheels of their respective cars. On the wet and then drying track the Porsche LMP1 cars came third (Nr. 18) and fourth (Nr. 17). The Silverstone race is the first of eight rounds in this year’s FIA World Endurance Championship. The six-hour race will start on Sunday at 12:00 hrs local time.